Metformin is a commonly used anti-diabetic chemical. Underlying mechanisms are not fully understood if its actions are directed towards insulin receptors downstream events. In vitro expansion and proliferation of fibroblast stem cells depend on the presence of certain environmental factors among which is oxygen. The major goal of this study was to investigate the effect of Metformin on the proliferation of skin derived stem cells in case of normoxia and hypoxia. The results suggest that fibroblast stem cells proliferation is largely affected by high dose (100 μg mL-1) of Metformin. Obtained data indicated that Metformin significantly inhibited cell survival by a dose-dependent manner in three doses: Metformin 10, 50 and Metformin 100 μg mL-1. Metformin decreased cell survival in dose 100 μg mL-1 more than other two doses, also the experiment pointed to a significant effect of short-term low oxygen (5% O2) treatment on fibroblast proliferation combined with data that fibroblast exposed to 20% oxygen tension exhibited enhanced fibroblast proliferation and viability. By MTT assay results, it has been noticed that no significant changes in the proliferation of fibroblast during the cell culturing both on the first and the third day after metformin administration. Metformin, a biguanide class of chemical, was used as a treatment to reduce blood sugar. It is the first choice of treatment for a wide range of diseases including overweight and obese patients that have type 2 diabetes. It is also recommended for patients with normal kidney function as well as gestational diabetes. Polycystic ovary syndrome and insulin-resistant diseases are also can be cured using Metformin (Smoak, 1999; Holland et al., 2004). For the next two decades researchers focused on insulin and other antidiabetic drugs in the expense of Metformin. New concerns on Metformin were renewed in the late 1940s as several publications reported its efficacy to reduce levels of blood sugar. According to Hirsch et al. (2009), Jean Sterne was the first to publish work using metformin to treat diabetes. The potential importance of metformin to reduce the possibility of cancer risks is highlighted. The actual effect of metformin on cancer patient has been still far away from complete understanding so far (Evans et al., 2005). The main systemic effect of metformin for the treatment of diabetes mellitus is to increase insulin sensitivity and to reduce blood glucose concentrations via lowering liver gluconeogenesis and increasing glucose uptake in peripheral tissues, including skeletal muscles and adipose tissues (Bao et al., 2012). Fibroblast, the most common type of human cells in connective tissue, plays a significant role in maintain the integrity of connective tissue. The major components of extracellular matrix including the ground and fiber substances are mainly produced by fibroblasts. Physical properties of connective tissues are largely dependent on the nature of extracellular nature. In addition to its pivot role in the structural support, fibroblast regulates wound healing, self-tolerance, inflammation, fibrosis as well as organ development (Fries et al., 1994). Placenta, skin, adipose tissue, thymus, muscle periosteum, synovium, synovial fluid, fetal liver, blood and cord blood are considered to be ideal tissues to isolate fibroblasts using tissue culture adherence technique (Haniffa et al., 2009; Da Silva Meirelles et al., 2006). Oxygen tension is one of the most important conditions that should be controlled, when planning to culture stem cells. According to Grimshaw and Mason (2000), oxygen is considered as significant molecule with signaling capabilities that are required for main issues in stem cell biology such as self-renewal, proliferation, cell death, differentiation and migration (Grimshaw and Mason, 2000). It has been indicated that tissues have lower oxygen pressure compared with atmospheric oxygen pressure commonly used in incubators (Csete, 2005). It has been shown by other studies that the oxygen pressure in bone marrow is varied from site to site depending on how the tissue is far from the blood capillaries. Generally oxygen tension ranges from 1-7%. For instant, oxygen tension in articular cartilage ranges from 3-10% at the surface, whereas the level is decreased to 1% in deeper tissues (Da Silva Meirelles et al., 2006). Production of cartilage during fetal development as well as formation of chondrocytes in hyaline cartilage is an example of tissues that are synthesized under low level of oxygen tension (Zscharnack et al., 2008). So, the present investigation is carried out to study the effect of different doses of antidiabetic drug-Metformin on proliferation of fibroblast derived stem cells in the different concentrations of oxygen medium. Sample sourcing: Signed consent forms were taken from the patients to participate in the study, human foreskin samples were taken by circumcision. The ethics commission of Leipzig University approved the study which was performed in accordance with the Declaration of Helsinki protocols. The study was carried out in the Department of Cell Techniques and Applied Stem Cell Biology, Biotechnological-Biomedical Center, University of Leipzig, Leipzig, Germany. Cell isolation and culture:Fibroblasts were taken from human foreskin samples. Immediately after circumcision foreskins were kept in sterile Phosphate Buffered Saline (PBS) and stored at 4°C until use. They were immersed in Betaisodona solution for 20 min and rinsed several times with PBS until they were free of brown staining. After this disinfection the subcutaneous fatty tissue were removed with scalpel and forceps. Foreskins were finally cut into pieces of about 5x5 mm and digested with Dispose II solution (2.5 mg mL-1, Dispose II in DMEM) for 3-4 h at 37°C or alternatively over night at 4°C. After this enzymatic digestion the skin was washed with PBS and the epidermis was removed from the dermis with forceps. The epidermis was discarded and the dermis was cut in smaller pieces. After that, the dermis was incubated for 2 h with 1 mg mL-1 collagenase (in PBS with Ca2+ and Mg2+) at 37°C with gently shaking. The pieces of dermis have to be dissolved. A 70 μm cell strainer was used to filter the cell suspension and then centrifuged for 5 min at 1800 RPM. The resulting cell pellet was suspended in Dulbeccos Modified Eagle Medium (supplemented with 10% Fetal Bovine Serum (FCS), 1% penicillin/streptomycin and Glutamax) and the fibroblasts were cultured in cell culture flasks. Cell numbers were measured using trypan blue exclusion in an improved haemocytometer after each passage. Fibroblasts were analysed for some mesenchymal stem cell markers with flow cytometry analyses. Cell culture experiments were done in 6-well plates (30.000 cells well-1), 12-well plates (20.000 cells well-1) and 24-well plates (10.000 cells well-1). Measurement of cell viability: The MTT Cell Proliferation assay depends on the observation that MTT dye is enzymatically reduced into formazan dye that has a purple color. The activity of reductase responsible for this reaction is directly proportional to changes in the color and as a result an indication to measure cells viability. By using this method, both cell viability and cell proliferation can be measured by cell counting and cell culture assay respectively. Furthermore, this assay method can also be used to get an indication about variable associated with medicinal agents' cytotoxicity since such materials stimulate or inhibit cell viability and as a result growth. All optical density values were measured at 570 nm, which correlates directly with the number of metabolically active cells in the culture. After measurement of absorbance by a Microtiter plate reader (Tecan) with 650 and 570 nm filters, the mean values of approaches (duplicates) were allocated to mean values for the respective control solution (control Metformin-medium without substance). Description of experiments: Growth in 12-well plates with Metformin in different dilutions, oxygen conditions (normoxia or hypoxia) and time intervals for proliferation analyses (MTT). Dose of Metformin was 100 μg mL-1. The Medium was contain DMEM, high Glucose, Natriumpyruvat, Glutamax with 10% FCS and 1% penicillin/streptomycin, also 1 mL per well was used. Finally, the number of the fibroblast cells was 20000 cells well-1. At the first day cell seeding and stimulating with different concentration of Metformin in the next day, then incubated to proceed MTT-test and measure metabolic activity. In our experiment different concentration of oxygen in medium of fibroblast stem cells are used. Two plates are used in our experiment, first plate with 20% O2 and the second plate with 5% O2, MTT-Test is carried at day 1 and 3. MTT assay was used to study the impacts of metformin on cell proliferation. The material of study in this experiment was skin samples derived from stem cell. Metformin was found to significantly inhibit cell survival and that inhibition rate was found to correlate with the dose concentration. The three dose concentrations used in this experiment were: Metformin 10, 50 and Metformin 100 μg mL-1. Metformin decreased cell survival in dose 100 μg mL-1 more than other two doses (Fig. 1) Comparable growth in all wells, differences in proliferation and percentage of viability (Fig. 2). 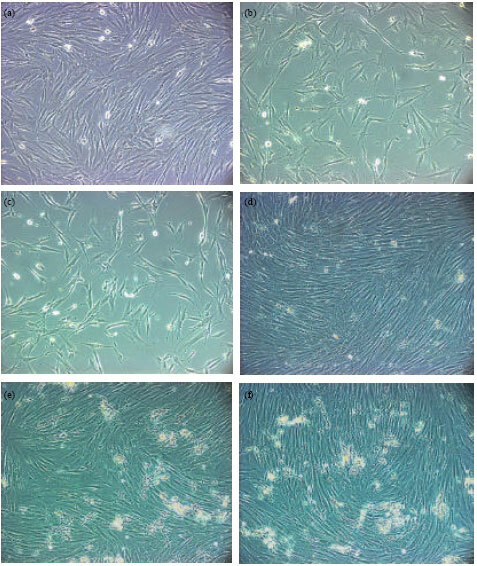 Figure 3 Showed fibroblast stem cells in vitro cultured after isolating with Percoll from skin and morphological changes of fibroblasts by administration of different doses of metformin in day 1 and day 3. At day 3 I can see with increased metformin concentration the number of damaged cells gets also increased, I can see the damaged cells as white clusters Fig. 3e, f. At day 3 the cells are denser than at day 1. The rate of cell proliferation as well as the reduction in cell viability was assessed using the MTT assay. The assay was carried out when cells undergo necrosis and apoptosis conditions. MTT assay has another application in which the cytotoxicity of potential medical agents and toxic materials can be evaluated since these agents have a stimulatory or inhibitory effect on cell viability and growth. The results of the MTT assay graphically represented indicate a definite negative influence of Metformin on proliferation of skin derived stem cells during cell culturing both on the first and the third day after administration. With a higher concentration of Metformin 100 μg mL-1 it led to a correlative decrease in stem cells activity, diagrammed as Fig. 1, in the form of absolute measured values OD (optical density) or as Fig. 2 in the form of percentage of viability, the activity of fibroblast stem cells increasing by low concentration of Metformin 50 and 10 μg mL-1 respectively. I find only low differences in respective data between the normoxia and hypoxia conditions, for the last something better for absolute values of day 1 but not for values of day 3, thus show no significant influence of oxidative stress on cell proliferation in this part of experiment. These researchers: Domm et al. (2002), Kurz et al. (2004), Murphy and Polak (2004) and Mizuno and Glowacki (2005). Studying the influence of low oxygen (hypoxia) during the different type cells and fibroblast stem cells proliferation in three dimensional systems. Studies have shown that there are beneficial effects due to various precursors and articular stem cells. It has also been pointed to the presence of partially contradicted results which are thought to be caused by various cell types used and the application of different cultural systems with different oxygen diffusion properties. I have put focus on the impacts of low oxygen on fibroblast proliferation. Fibroblast expanded at physiologically normxia 20% O2 was strongly accelerated and enhanced compared to low oxygen tension 5% O2. This result was consistently observed by cell viability in MTT test. Similar findings have been obtained for cell proliferation in normaxia and hypoxia culture. Our findings confirm the significance of appropriate fibroblast-culture conditions during proliferation for potential application of such cells in regenerative medicine. Our results agree with previous data (Sekiya et al., 2002) in which it has been revealed that the initial monolayer culture conditions for fibroblast proliferation, including seeding densities, media, culture period and oxygen tension play an important role in defining the fibroblast stem cells proliferation and differentiation. In agreement with other works which used cells from other species (Grayson et al., 2007; Zscharnack et al., 2008), we show an advantage of using 20% oxygen culture for expansion and proliferate stem cells in monolayer culture. Taken together, it has been shown that fibroblast under the effects of 20% oxygen tension subsequently showed enhanced fibroblast differentiation. The results suggest that fibroblast stem cells proliferation is largely affected by high dose (100 μg mL-1) of Metformin. Not only proliferation, but also cell survival was found in this piece of work to be significantly inhibited by metformin, also the experiment pointed to important effects of short-term low oxygen (5% O2) treatment on fibroblast proliferation accompanied with data that fibroblast which were under the effect of 20% oxygen tension exhibited enhanced fibroblast proliferation and viability. There are no important variations in the viability of fibroblast on the first and the third day after metformin administration. This work was funded by the DFG programme and funded as consumables by department of Cell Techniques and Applied Stem Cell Biology, Biotechnological- Biomedical Centre at Leipzig University. I am grateful and thank Professor Augustinus Bader for hosting me and Dr. Doris Stefanowa, Sabina and Katja for the management of my work. Bao, B., Z. Wang, S. Ali, A. Ahmad and A.S. Azmi et al., 2012. Metformin inhibits cell proliferation, migration and invasion by attenuating CSC function mediated by deregulating miRNAs in pancreatic cancer cells. Cancer Prev. Res., 5: 355-364. Csete, M., 2005. Oxygen in the cultivation of stem cells. Ann. N. Y. Acad. 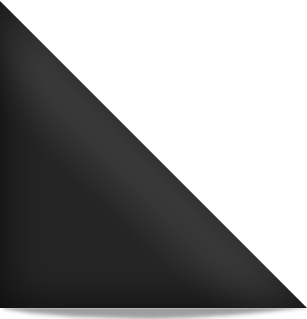 Sci., 1049: 1-8. Da Silva Meirelles, L., P.C. Chagastelles and N.B. Nardi, 2006. Mesenchymal stem cells reside in virtually all post-natal organs and tissues. J. Cell Sci., 119: 2204-2213. Domm, C., M. Schunke, K. Christesen and B. Kurz, 2002. Redifferentiation of dedifferentiated bovine articular chondrocytes in alginate culture under low oxygen tension. Osteoarthritis Cartilage, 10: 13-22. Evans, J.M., L.A. Donnelly, A.M. Emslie-Smith, D.R. Alessi and A.D. Morris, 2005. Metformin and reduced risk of cancer in diabetic patients. BMJ, 330: 1304-1305. Fries, K.M., T. Blieden, R.J. Looney, G.D. Sempowski, M.R. Silvera, R.A. Willis and R.P. Phipps, 1994. Evidence of fibroblast heterogeneity and the role of fibroblast subpopulations in fibrosis. Clin. Immunol. Immunopathol., 72: 283-292. Grayson, W.L., F. Zhao, B. Bunnell and T. Ma, 2007. Hypoxia enhances proliferation and tissue formation of human mesenchymal stem cells. Biochem. Biophys. Res. Commun., 358: 948-953. Grimshaw, M.J. and R.M. Mason, 2000. Bovine articular chondrocyte function in vitro depends upon oxygen tension. Osteoarthritis Cartilage, 8: 386-392. Haniffa, M.A., M.P. Collin, C.D. Buckley and F. Dazzi, 2009. Mesenchymal stem cells: The fibroblasts new clothes? Haematologica, 94: 258-263. Hirsch, H.A., D. Iliopoulos, P.N. Tsichlis and K. Struhl, 2009. Metformin selectively targets cancer stem cells and acts together with chemotherapy to block tumor growth and prolong remission. Cancer Res., 69: 7507-7511. Holland, W., T. Morrison, Y. Chang, N. Wiernsperger and B.J. Stith, 2004. Metformin (Glucophage) inhibits tyrosine phosphatase activity to stimulate the insulin receptor tyrosine kinase. Biochem. Pharmacol., 67: 2081-2091. Kurz, B., C. Domm, M. Jin, R. Sellckau and M. Schunke, 2004. Tissue engineering of articular cartilage under the influence of collagen I/III membranes and low oxygen tension. Tissue Eng., 10: 1277-1286. Mizuno, S. and J. Glowacki, 2005. Low oxygen tension enhances chondroinduction by demineralized bone matrix in human dermal fibroblasts in vitro. Cells Tissues Organs, 180: 151-158. Murphy, C.L. and J.M. Polak, 2004. Control of human articular chondrocyte differentiation by reduced oxygen tension. J. Cell Physiol., 199: 451-459. Sekiya, I., B.L. Larson, J.R. Smith, R. Pochampally, J.G. Cui and D.J. Prockop, 2002. Expansion of human adult stem cells from bone marrow stroma: Conditions that maximize the yields of early progenitors and evaluate their quality. Stem Cells, 20: 530-541. Smoak, I.W., 1999. Glucose metabolism in mouse embryos exposed to metformin in vitro. Toxicol. in vitro, 13: 27-33. Zscharnack, M., C. Poesel, J. Galle and A. Bader, 2008. Low oxygen expansion improves subsequent chondrogenesis of ovine bone-marrow-derived mesenchymal stem cells in collagen type I hydrogell. Cells Tissues Organs, 190: 81-93.